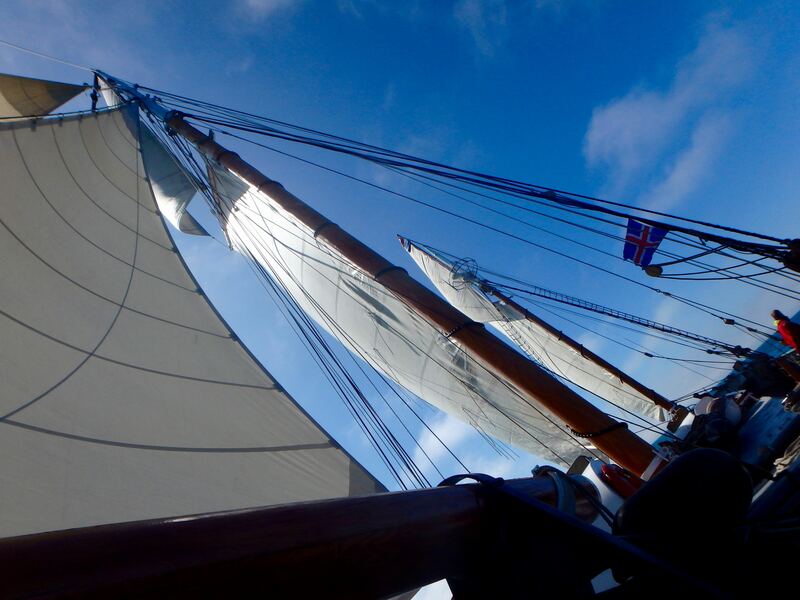 This year the sailing schedule of the Tecla consists of voyages in Scotland, through the Caledonian Canal, to Ullapool and St Kilda. The Tecla will then make her way up North, following the viking routes and sail along the Orkneys, Shetlands and Faroe Islands, visiting them all in hope to find old Viking reminiscence. This voyage will lead up to Iceland, our new sailing ground. Here we will explore more, sailing from Reykjavik, Isafjordur and visiting many remote and amazing places! An Actieve Adventures holiday. A beautiful get away. Read more on each trip and book your voyage online. Our sailing season for 2017!! 2-mei-17 9-mei-17 8 Ullapool - Ullapool - St Kilda and the outer Hebrides. Setting sail for the Island Hrisey, the first stretch of sailing on this trip will be amongst north Iceland most rugged mountains. Leaving Hrisey we set sail into the Greenland sea with Grimsey as our next destination. The shallow fjords and coast are uninhabited and rarely visited. Through our website we will keep you up to date on any highlights or remarkable information. There is extensive information on our voyages in our voyage descriptions online. But for those who would like to read more about what we do and the voyages we will make. Please download our online brochure. You will find most of the information on the voyages, on the history of the ship, our contact details and many beautiful pictures in this brochure. If you have any questions about our voyages or your stay on board, please do not hesitate to contact us! If you would rather read the description of the voyages online, please follow the links or click on the link behind the voyage in the schedule. The sailing schedule of the Tecla is published every autumn unless earlier. We will try and communicate our plans with you as soon as we know, by sending out a Newsletter. Not yet signed in for our newsletter? Fill out this small form. We will send out our newsletter about 4 to 6 times per year, in our newsletter you will find highlights on our voyages and extra information about the sailing year and our upcoming plans.